It's quite easy to generate hype when you have a lot of cash. Buying traffic, media, ads, Twitter followers, Facebook fans and even good comments in the Apple Store are not so expensive. But will these publicity options give you quality feedback? Do hundreds of downloads speak to the quality of your app or are they simply the result of your media coverage? What about trying to make some noise for free and without any media coverage? We tried it a few weeks ago, and it works. We'd love to share our experience with you so you can successfully jump start your startup, too. We're working on our new Hello email service and were just about to launch our landing page – sendhello.to – when one of our fans beat us to it. A few days before we planned to launch the page (our product is not yet available), someone found it online and soon posted it to Twitter. And that was the beginning of our social campaign – without us. That's not very much! How do we market this? How can we get 30,000 signups in 3 days? Are we kidding ourselves? In our case, giving away our service for free in exchange for tweets, as well as being tweeted about by Ycombinator created a lot of hype for our product. 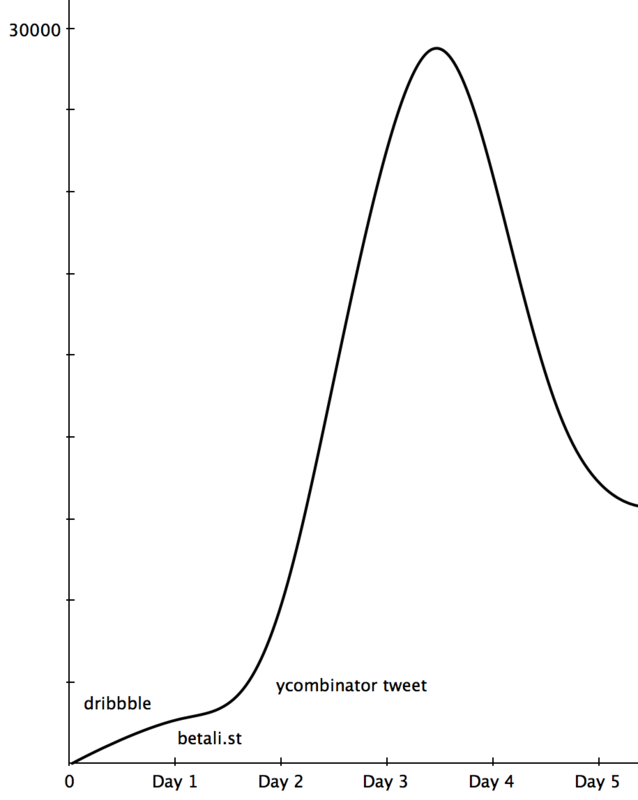 Ycombinator followers (about 60,000) love Twitter and know how to use it – and we gave them something in exchange for their tweets. It's very hard to get press coverage when you have nothing – journalists want a working product to try before they write about it (and that's OK!). So we used our design and social networks to generate our own buzz. The last thing that we did on our website was to create a very easy way for users to send us feedback. It's hard to get feedback from users, so you have to make it as simple as you can for them. Our users can write to us at the bottom of every screen. As a result, we have gotten hundreds of messages from our users. So yes, you can make some noise without money and media coverage. It won't be as huge as Mailbox's launch ; they did, after all, spend a lot of money on their campaign. But you have the means to generate a lot of noise for your startup, too. Good luck!